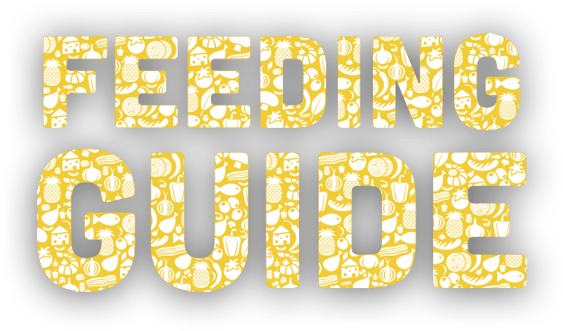 Please use the slider on our feeding guide calculator to select your dog’s weight in kilograms. 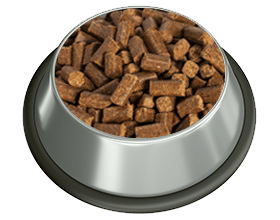 This dog food calculator lets you see the weight of food in grams that your dog will need per day. Preferably, divide your dog’s food into 2 meals (Calculations are based on 1.2% of your dog’s ideal weight). Please use the puppy feeding guide slider to select your puppy’s weight in kilograms. This puppy food calculator works out the weight of food in grams that your puppy will need per day. (Calculations are based on 2.5% of your puppy’s weight). Start by mixing your new Guru cold pressed dog food with your dog’s old food with a 50/50 ratio. Gradually increase the amount of Guru, whilst serving less of the old food (transitioning times can vary as every dog is different). If your dog has a sensitive tummy, we recommend you start introducing Guru a bite at a time, before following the guide below. 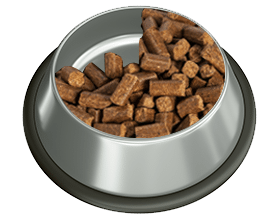 You can easily adjust the amount you feed your dog to keep them in just the right shape. Our delicious Guru bite size pieces weigh more than you think. Be careful not to over feed your dog. You will notice your dog drinks a little more water after eating Guru, but this is completely normal and is important for your dog’s digestive system. However, if it becomes excessive, you may be over feeding. Always provide plenty of fresh drinking water from a clean bowl. 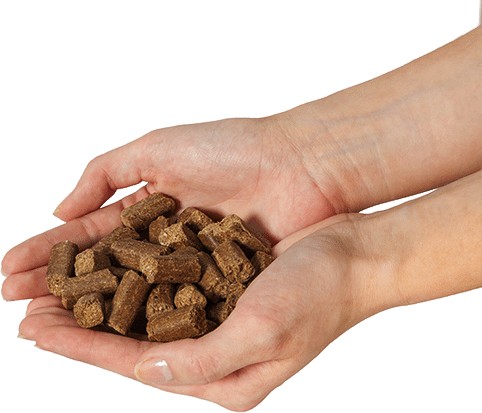 Your dog’s digestive system should easily accept the natural ingredients. However, if you have any queries when switching, don’t hesitate to get in touch.